The world lost a very talented actor this week as Harry Dean Stanton passed away from natural causes at the age of 91. 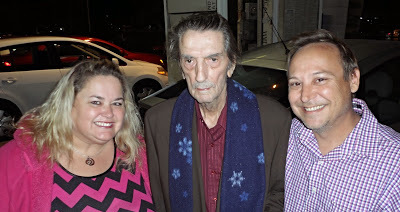 We were fortunate to meet him back in 2014 which thrilled me to no end considering he played Andie's dad in one of my favorite movies, Pretty in Pink. R.I.P. Mr. Stanton. You will be missed.